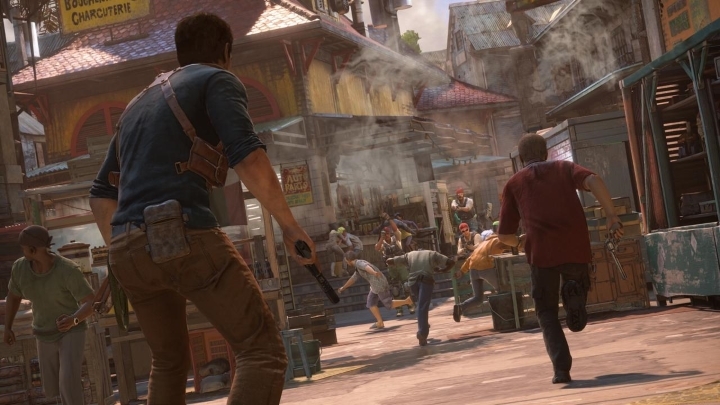 While earlier Uncharted games have featured linear gameplay, guiding players from one point to another in missions, the latest Uncharted, while not being an open-world game, will feature more open-ended gameplay than previous entries in the franchise. There will be more paths for players to take in the game’s frenetic and action-packed car chases, without players feeling that their car is on rails and being driven along a predetermined path. Also, a preview video (see below) shown at last year’s E3 showcased Uncharted 4’s action-packed firefights, made more intense by the game’s destructible environments and spectacular graphics. Protagonist Drake will also be able to resort to silent takedowns and violent stealth kills to deal with his enemies, so players won’t always have to take down enemies in firefights, hopefully making Uncharted 4’s gameplay even more entertaining this time around.